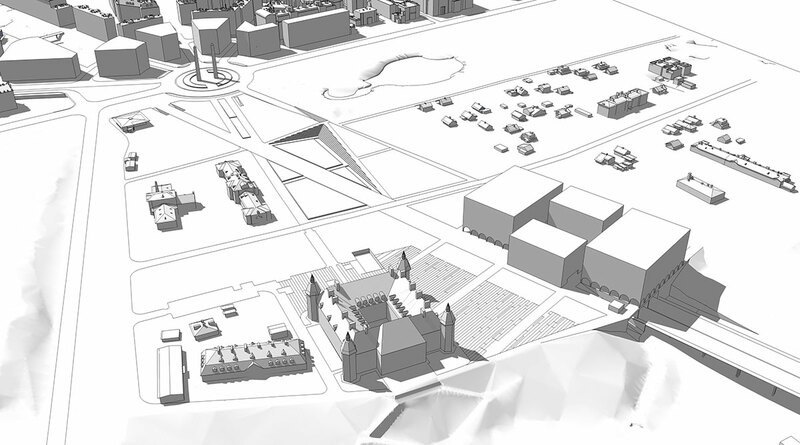 CASE: The proposed area for development is a prestigious location, extending to the design intent with regards to the Stanislawowska Axis, the Royal Route, Warsaw Escarpment, the buildings entered in the register of objects of cultural heritage, the Finnish houses and the park and its surroundings. 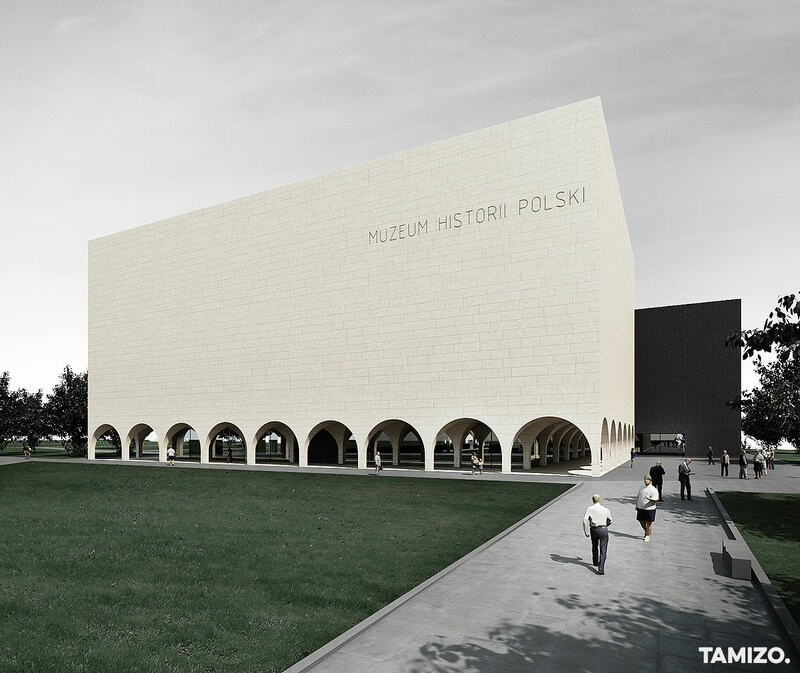 These are the most important elements of the closest neighbourhood of the Museum of Polish History. In the 1970s Lazienkowska Thoroughfare was built here, which significantly hindered spatial order. 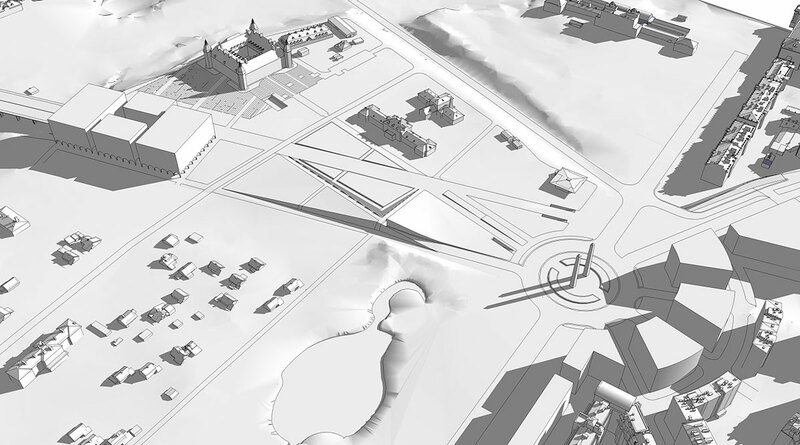 The route depression imposed a new random trend in urbanism, weakening greatly the importance of the Stanislawowska Axis and ruined the design intent of the park as well as the continuity of the Jazdow Street. The introduced transport hub is not straightforward to the road users and inconsistent with the historical and conservation objectives. 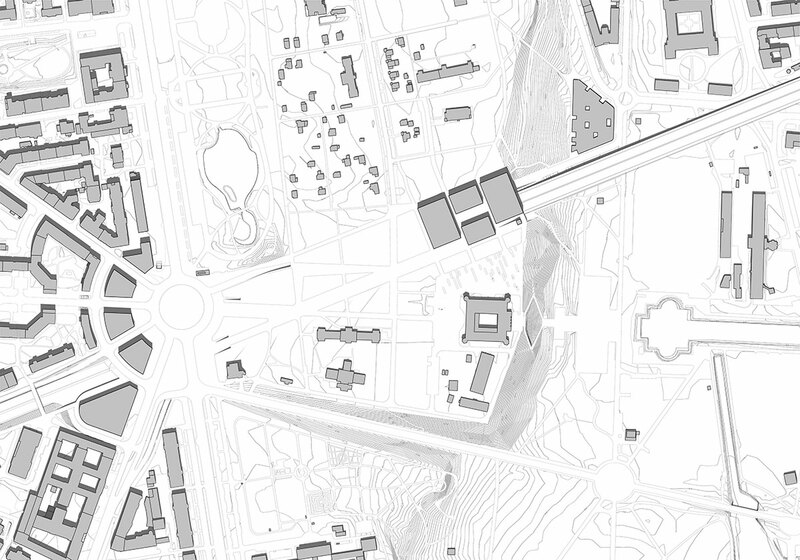 What significantly reduces urban space, breaking one of the links of the so-called Warsaw ‘umbrella’ is the square at the crossroads. 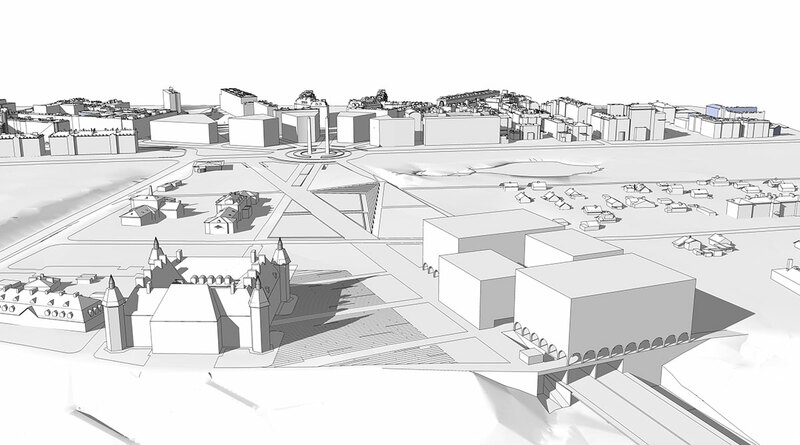 The existing round square with a fountain does not comply with the city-forming role and is not attractive. Over the years the thoroughfare embankment became overgrown with irregular greenery making the Stanislawowska Axis look worse. 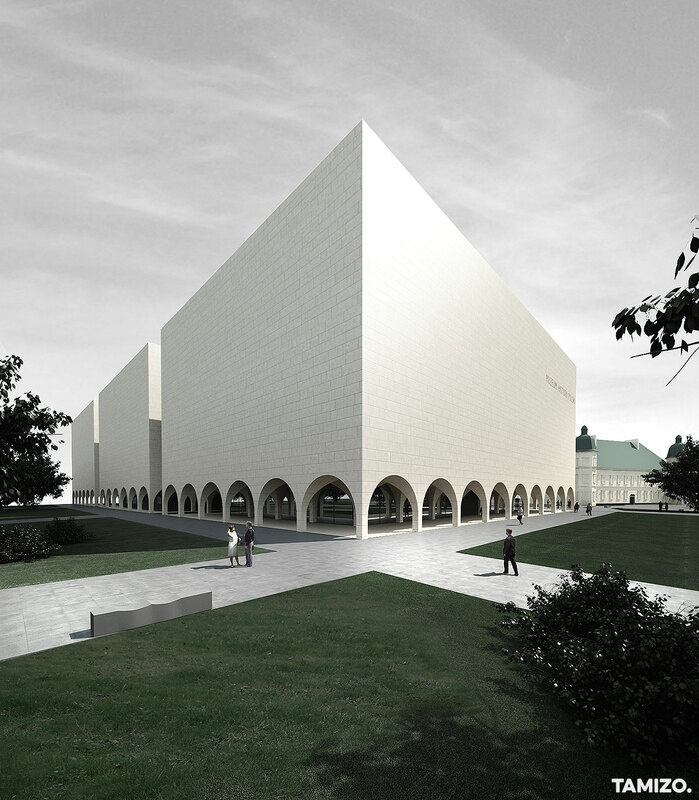 IDEA AND FORM: The Museum of Polish History is a prestigious issue, which forces the design creator to search for Polish identity. What is our identity? How to translate it into the language of architecture? From the subconscious mind we extract from the past sounds, symbols, images. Individual phrases begin to appear: Wawel, arcade, castle. A castle as a closed stone form, a courtyard around which its use is organised - these are the elements for further consideration. 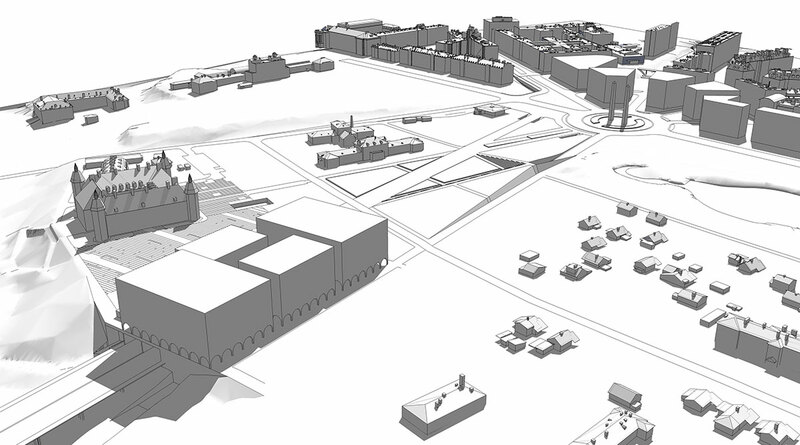 One of the basic objectives and needs of the design is to ensure the continuity of the park. For this reason, the initially accepted formula is changing. 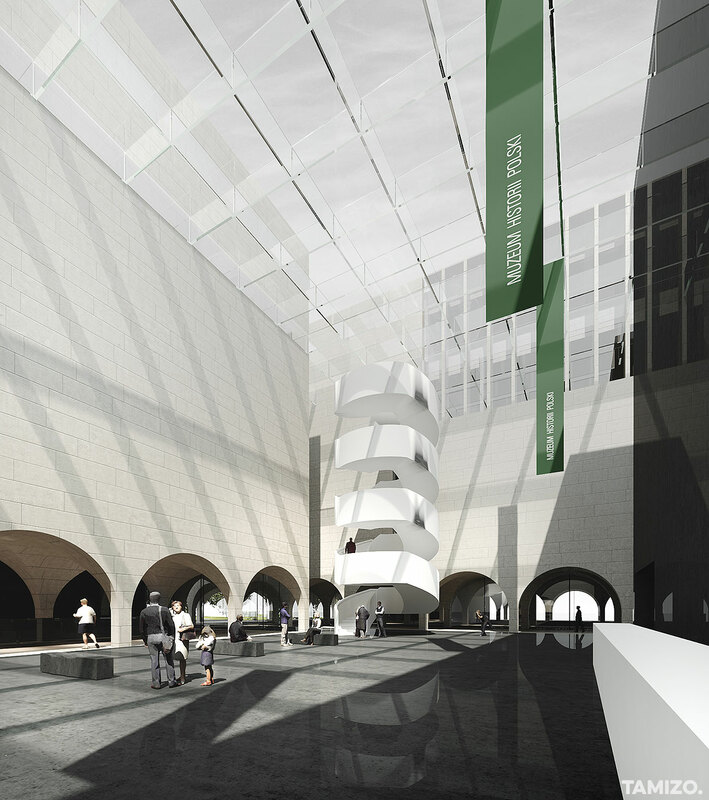 Cuts begin to appear, dividing body of the building into smaller forms that are merged with the common courtyard - forum. Due to the object use, openings at the ground floor level arcade openings were introduced, which drew passers-by and allowed to look inside. The only part of the building without arcades accentuates the main entrance to the building. 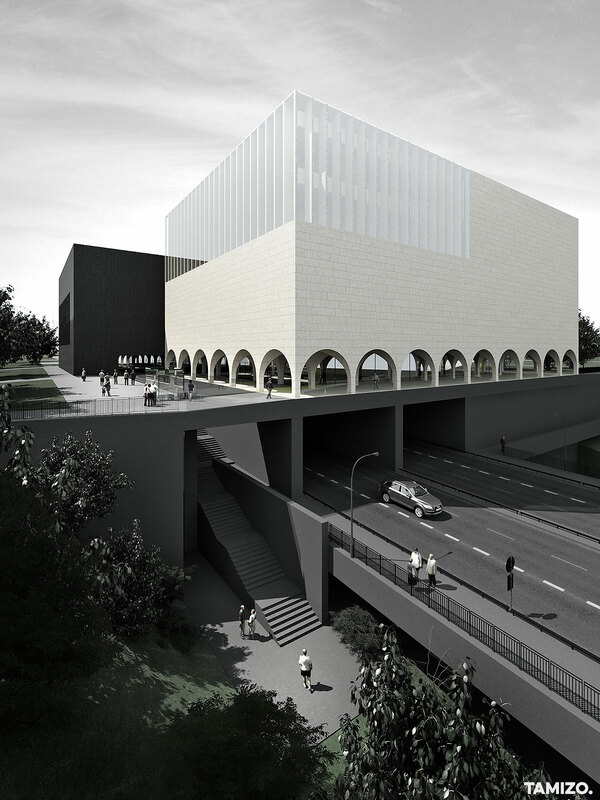 It is additionally highlighted by another, opaque elevation material and protruded over the main traffic concourse that leads to the museum from both directions. Finally a modern building appeared that refers its form to the archetype inherent in the subconscious mind. In our opinion a bold combination of arcades with the minimalistic body of the museum and covered with sandstone brought the desired effect.